The Ballston Neighborhood was named after the Ball family, one of the originators and predominate landowners of colonial-day Arlington. It began its rise into prominence towards the end of the 18th Century, when the Balls built a tavern at an active intersection connecting major roads leading to farmland, the district and surrounding residential villages. The Ball Tavern became a central hub for farmers and craftsmen to disperse their goods to local community markets. With a utility for commerce and a geography between several surrounding areas, the tavern quickly became an integral commercial center for people within the Washington, Arlington, Alexandria and Falls Church localities. This intersection where the tavern lay was and still is a central node of Ballston. Previously known as Balls Crossroads, its present day iteration comprises the key intersection where Wilson Boulevard and Glebe Road meet. By the end of the 19th century, electric rail systems began to be constructed, and in 1896 the Fairfax Line opened up just north of Balls Crossroads. This new electric trolley line drastically improved people’s mode of transport and accessibility to food and goods, and so more and more people began to flock to the area. A village called Central Ballston sprouted up in response and helped begin to shape the Ballston neighborhood outline. Historical markers detailing the history of the development of Ballston can be found throughout the area. Check them out for yourself! A full database of Arlington’s historical markers can be found here. Availability and maintenance of transportation is key when determining the fate of an area and its commercial and residential potential. With improved transportation comes a greater ability to distribute foods and goods. This increase in commercial activity then brings demand for more residents and new living spaces. This rise tends to continue until said area either overfills completely or falls into disrepair, at either which point people begin to look elsewhere – usually further out. The latter was very much the case with Ballston. After reaching its heydey in the early 20th century, by the 1940s electric railways were struggling to survive. Railways could no longer keep up with the increased competition from the automobile industry, unable to match the convenience and freedom of the personal automobile, nor were they able compete with the cost-effectiveness of public buses. This sparked a big shift in society. The automobile, with such an enhanced level of personal mobility, ushered in a suburban sprawl to further out towns, where land was cheaper and more bountiful. Wealth vacated. So as the Greater DC area leapt into modernity, Ballston became sort of an afterthought. Too close to DC to distinguish itself, yet too developed already to become fashioned into an idyllic, spacious suburb, it was reduced to a retail haven. Like one big shopping mall, it thrived as a commercial center but became neglected as a residential area. Indeed, Arlington even today encompasses a similar awkward median between suburbia and urbanity. If it weren’t for the installation of underground rapid transit towards the end of the 1970s, who knows what might have become of Arlington! By the 1950s, Ballston had become a popular place for people to go but not necessarily stay. It was a pioneering commercial district of a new sort, a forward-thinking retail space that would help shape the future of American consumerism for the next half-century. Built in 1951, the Parkington Mall became the first retail mall equipped with a multi-level parking garage. Stated in the name itself, the Parkington was a shopping mall built specifically with cars in mind. Further driving home the rising dominance and influence of the automobile industry, a Chevrolet car dealership was established just across the street – on the corner of Glebe and Wilson, where the old Balls Tavern used to be. With an eye-catching, futurist design wrapping around the corner, Peck’s Chevrolet instantly became an icon of Arlington. Like the tavern, before it, Peck’s was a natural geographic hotspot, both for being right across from the Parkington and for its googie-style, spaceship of a building. The automobile industry and Chevrolet, in particular, were at the height of its golden age, and Peck’s audacious architecture became an apt symbol of the era’s extravagance. But like the electric trolleys before it, by being the first of its kind the Parkington Mall soon lost out to new and improved competitors such as Landmark Mall and Tysons Corner. 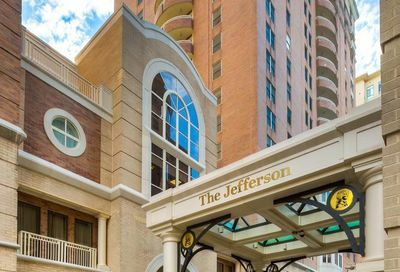 It was not until it was given a facelift and became Ballston Commons in the 1980s did it see a resurgence, and even then it only had a moderate shelf-life. By the end of the 20th century, it was showing signs of neglect as people were beginning their next shift in consumer habits. At the same time, the declining American automobile industry largely reduced Peck’s into a meme of itself, living on as a geographic node while becoming increasingly less relevant as a dominant car dealership, ultimately closing in 2012. The development of the underground Orange Line metro line changed everything for Ballston. Quality public transit alone will bring immediate increased accessibility to an area, but an underground rail system has the potential to completely rejuvenate and overhaul it. With so much extra space above ground for building, the Ballston to Rosslyn metro line quickly became one of the most attractive areas within to live and invest in around Washington DC. Either a reaction against the mundanity of standard suburban life or merely the next step in the evolution of suburbia, this new pseudo-urban hybrid town combined the best aspects of high-density urbanity with a more cushiony, laid-back suburban feel. So much like how the Parkington paved the way for the era of the shopping mall during the prosperous post-war 50s, the establishment of the Orange Line in the early 1980s placed Ballston and Arlington County on the vanguard of urban planning. As this new hybridity of urban and suburban, Ballston became a prototype for future metropolitan villages. 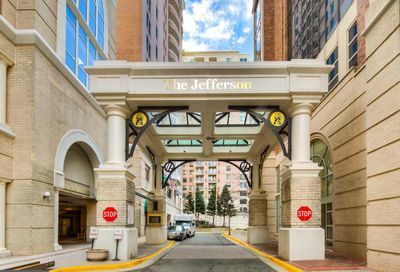 Comprised of everything, New Ballston had high rising condo buildings, strip malls of independent shops, luxurious corporate headquarters and cozy neighborhoods of single-family dwellings, plus a shopping mall with a cinema! Once the Kettler Iceplex opened in 2006, it also boasted a world-class ice hockey and skating facility atop the mall. And though Ballston Commons had long been neglected prior to its closing in 2016, the cinema has remained open as have Kettler and several other key amenities such as a Sport & Health, CVS and Macy’s. With brand new apartments and condos, luxury office spaces, delicious restaurants, and legitimately exciting and ambitious entertainment and shopping options, the new Ballston Quarter projects to be an elite commercial center – one of the region’s very best. What was once Peck’s Chevrolet now stands a luxurious office space, with an exterior paying homage to its iconic predecessor. The new Ballston Quarters – due to open by the end of the 2018 – marks an exciting new chapter for Ballston. As one of the busiest neighborhoods in Arlington, the Ballston real estate market is hyper-competitive. With an unbeatable location on a metro line, placement right off 395 and close proximity to DC, it’s among the most universally attractive neighborhoods in the DC area. And with such a wide variety of living spaces, there is something available here for everybody. The options are endless, whether you’re a professional looking for a bachelor pad, a single family seeking your first standalone unit, a growing family ready for a new construction, or even if you’re just looking to rent. But act fast: due to Ballston Commons’ decline, Ballston faced a slight downturn over the past decade compared to the rest of the Orange Line corridor. But with Ballston Quarter projected to be completed within the year, the market is only going to become more and more competitive. Ballston Quarter is going to be a massive boost to the neighborhood. There is serious potential for the character of New Ballston to resemble a sort of sweet spot between trendy Clarendon and corporate Rosslyn. Visit Our Condos in Ballston Today! Luxuriously converted from apartments to condos in 2002. 123 units over 10 floors featuring granite countertops, gleaming hardwoods, and beautiful maple cabinetry. High-rise condominium community offers one and two bedroom units with trendy breakfast bars, spacious balconies, and stunning urban views. Sophisticated 4-level townhomes with classic brick exteriors, rooftop access, luxury features and community green spaces. 233 luxury units set within a well-designed mixed-use project, offering high-end finishes with a contemporary style and comfort!